A high opacity durable semi-gloss acrylic coating for deck areas. 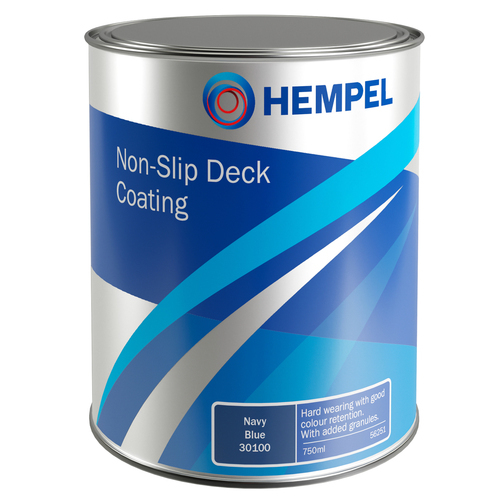 Complete with fine non-slip granules that provide a durable non-slip coating to boat deck area. 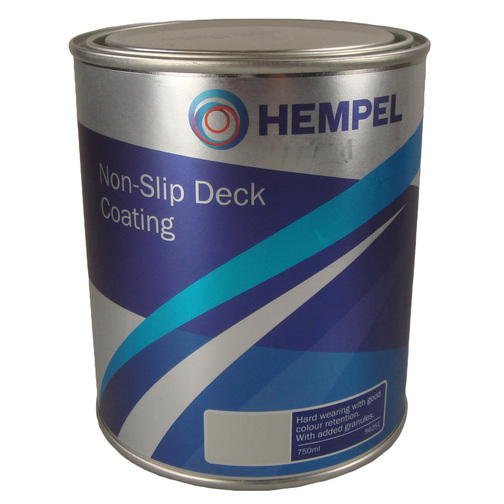 Hempel Non-Slip Deck Coating is a high-wear, durable, semi-gloss paint for boat deck areas. 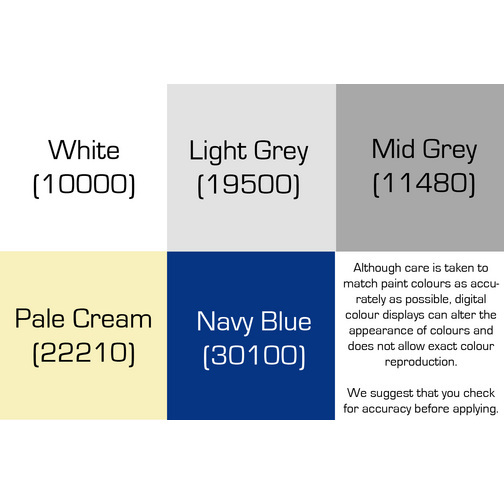 This boat deck paint is designed to provide a high grip, durable finish on areas that are walked on frequently. This deck paint also helps to minimise reflection from the deck whilst offering a tough finish. This boat deck paint comes complete with fine granules within the paint that needs stirring before use. These granules produce a non-slip coating to the boat deck. This paint can be used on all substrates, both interior and exterior, and above the waterline.